The name "Brindle" might seem generic, but we couldn't think of a better name for such a stunningly handsome boy with the most perfect chevron markings. In a word, Brindle is gorgeous! He's also incredibly sweet and has the most soulful eyes to go with his amazing good looks and personality. If that's not reason enough to meet him, you should know that Brindle is a model houseguest with A+ ratings in the home. This elegant, long-legged boy really knows how to mind his manners. He's potty-trained, happy to go in his crate and a is good boy left on his own while his people are out doing human things. 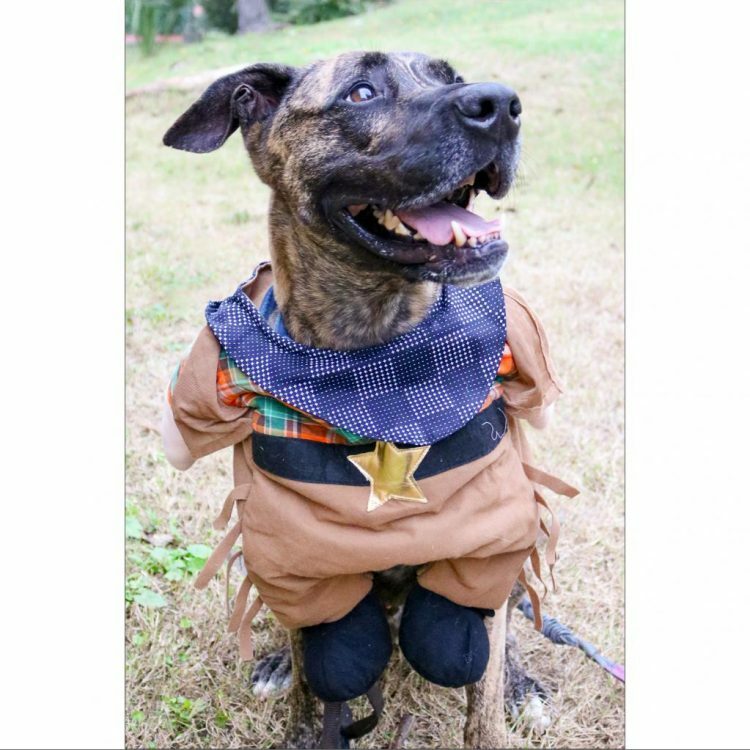 Though he loves his couch time, Brindle enjoys stretching those long legs out on the trail, where he will happily walk right by your side at a leisurely pace. And bust out the rope toy and he'll morph into a giant puppy - you'll know it's game time when he strikes his adorable play-bow! If you've got treats, Brindle will show you his tricks! This boy is super smart, already knows some some impressive skills and is very eager to please. He's also thriving in APA! 's Total Obedience Program. The Total Obedience Program (TOP) is modeled after the AKC's Canine Good Citizen (CGC) test. As a TOP dog, Brindle has a personalized training plan and works with a volunteer trainer several times a week to help him learn the skills to become the best dog he can be! Brindle is learning skills like sit and down, walking nicely on leash, sitting calmly when approached by strangers or other dogs, staying in a sit or down until told "free," coming when called and "place", which means he will go to a special place in your home on command. Trust us, when you meet Brindle you'll see he's all the dog you'll ever need. 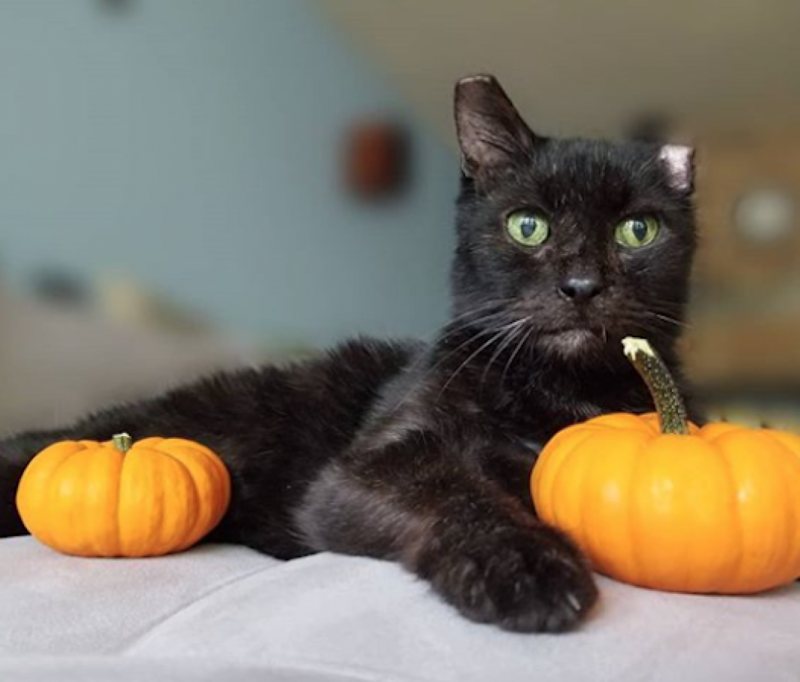 Come meet this handsome guy! 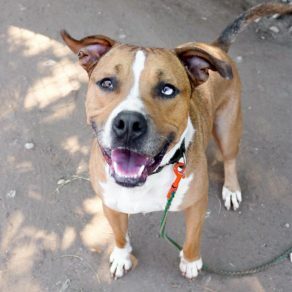 I saw Brindle (https://www.austinpetsalive.org/adopt/dogs/apa-a-43905) on the Austin Pets Alive! website and would like to request more information.